In today’s hectic and chaotic world, it is difficult to find a place which is peaceful and calm and where you can sit and enjoy the quiet. The blaring traffic, industrial units, neighbours, loudspeakers, pubs, wedding processions on the roads are constantly hampering our serenity, we so desperately desire for. We often wonder what can be done to alleviate the noise, make it safe as well as beautify our home. Well, the answer is simple- uPVC windows and doors. uPVC windows and doors are now the answer to all of your problems. They can make your homes safe, beautiful and noise resistant. Homes are meant to be forever, hence always the best and most efficient products are installed in them. When it comes to uPVC windows and doors, there are too many different uPVC windows and doors manufacturers in India. It is difficult to choose from any one of the uPVC windows and doors manufacturers. Let us make the choice easier for you with Aparna Venster. So, how is Aparna Venster different from all the other uPVC windows and doors manufacturers? Let us find out. Space is a constant worry for us. We always want our home to look great, spacious and gorgeous. We offer a wide range of uPVC windows and doors which make any home look spacious and beautiful. With our exclusive 10 feet uPVC doors, your home will get a stunning makeover, making it look premium and luxurious. Our uPVC windows and doors have multi-point high-security locks. All of these locks and accessories are fitted into the steel core of the window and door framing. Due to these highly powerful security locks, the uPVC windows and doors are airtight and enhance the sound and thermal insulation in homes. All of the uPVC windows and doors are installed with double glazed glasses which reduce the outside noise manifold. Venster has a double-seal system combined with insulating glasses which reduces the noise by 30-40 dB and cut the AC bills by 30%.This leads to a silent, cleaner and energy efficient home. 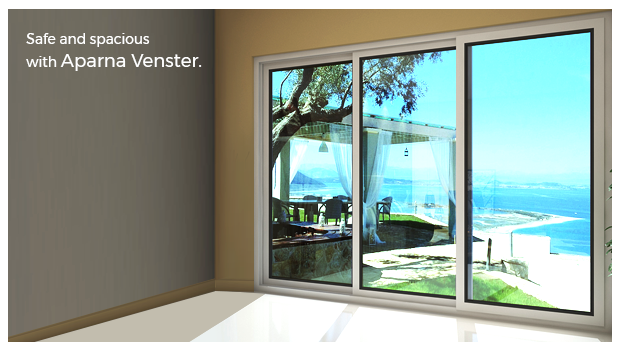 Venster uPVC windows and doors are a class apart in their looks and finish. There are many colourful and vibrant options for uPVC windows and doors available. We provide a varied selection of laminated texture options such as Mahogany, Walnut, Golden Oak, Dark Oak and Rustic Oak. Spruce up your home with Aparna Venster uPVC windows and doors. Give your home a premium makeover. Explore more here https://aparnavenster.com/ . Nowadays, uPVC windows are more popular due to its durability, aesthetics, and cost-effectiveness. When we consider uPVC windows, its properties, cost, and aesthetics play a major role in the selection of windows.